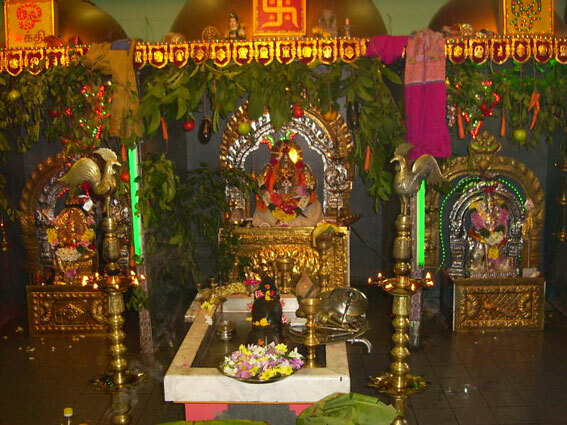 History : To retain the rich Hindu Tradition and to pass on the traditional values to the younger generation, the Hindu community living in Geneva felt that it was absolutely necessary to build a temple. Thus our present and the only Hindu Temple in Geneva came into existence in 1996 registered as a Hindu Association of Geneva. The temple is currently in a rented flat situated on the third floor . Efforts are being taken to acquire and build a temple on own premises. For this purpose a special account has been opened with UBS Switzerland. The money deposited in this account can be used only to buy/acquire a temple premises. 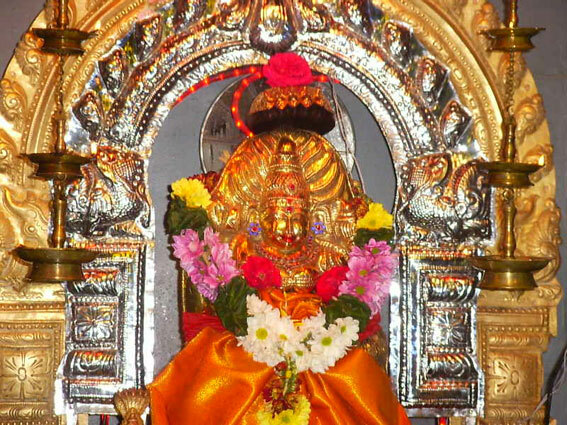 The main idol is Ganapathi named Arputha Vinayagar. By the very name the God is unique in his power to alleviate the sufferings of the people of Geneva. Also there are idols of Lord Murugan, Lord Bairavar, Goddess Ambikai and nine idols representing the Navagrahas (nine planets). The temple Board acknowledges with gratitude the various helps rendered initially by various devotees, but for which the temple could not have developed to this extent.Every year during the months of May & June the temple wears a festive look. For thirteen consequetive days the idols are decorated beautifully and poojas done in a very grand manner. The utchavamoorthy Vinayagar is decorated and taken in the palanquin carried by four persons in procession inside the temple. Shri Vaitheeswara Gurukkal from Srilanka will be assisting the chief priest Sri Umashankara Gurukkal during this festival period. The festival starts with the Shanti Pooja followed by the nine day special poojas. 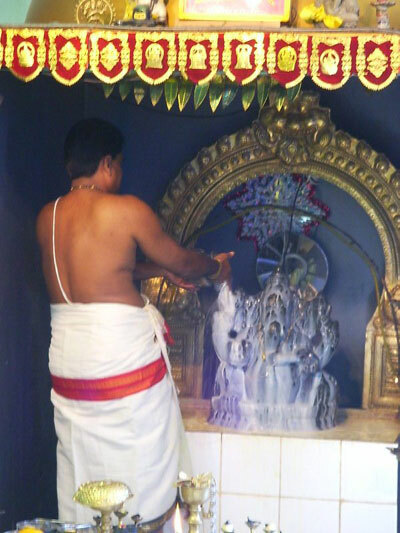 On the 11th day, Sangabhishekham is performed. Homams are performed in the morning followed hy abishekam through 108 'Sangu'. 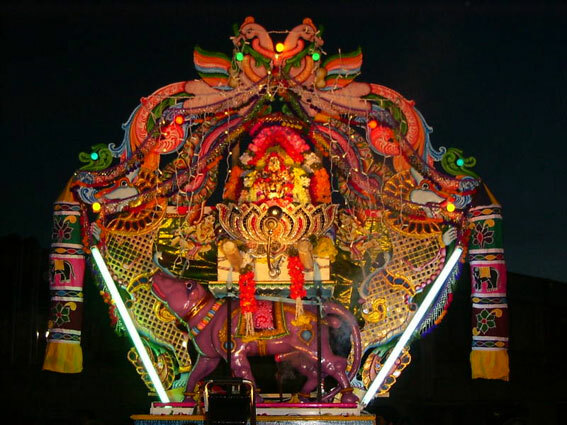 In the evening, the idol is taken out in procession on the road outside the temple. Poongavanam is the festival where the temple is decorated with fruits and vegetables and the idol is seated in the Unjal. The last day Vairavar Madai is the special pooja for the Lord Bhairavar and with this the festival ends for the year. Musicians playing the Nathaswaram and Mridangam is arranged and will be playing the instruments on the days during the festival.